As with any island, Mauritius has a complex colonial history which is reflected in its Creole cuisine. The ethnic mix has resulted in dishes inspired by India, China and to some extent, France too! Mauritian cuisine takes pride in its past and nurtures the different cooking traditions. Flavours here are distinct: ingredients are fresh and often prepared in front of you. You don’t need to go far to throw yourself into the best of Mauritian food. Central Market offers a plethora of cheap eats like the infamous dholl puri, gateaux gingli rier and alouda which are worth bumping shoulders with strangers for! Set in a colonial style sugar plantation, this "table d'hôte" is a very typical Mauritian affair. The restaurant itself is a converted garage and overlooks the owner’s heirloom car (and aircraft!) collection. It’s a little confusing to find but yhe atmosphere was very relaxed- if you’re looking for a fine dining experience, you won’t find it here. I ordered from the set menu while my husband ordered a la carte. Both were as good as each other. The one thing we did agree on was the banana flambé dessert. Regardless of its rustic charm, the service here was friendly, the portions were generous and the surroundings were fascinating. I obviously didn’t get the casual dress code memo and donned a saree. Needless to say, I spent the whole lunch taking pictures next to vintage cars I knew nothing about like I was a Bengali housewife on honeymoon in the 90s. You’d be doing yourself a huge disservice if you visit Mauritius without taking a visit to Bois Cheri. Regretfully, the tea factory was closed when we took the trip on a Saturday but the museum and garden itself was still quite enjoyable! For about £4.00 you can have a tasting session in the café overlooking the acres of tea which cushion a misty lake. It’s perfect if you want to spend some time enjoying the silence away from the hustle and bustle down on the flat lands! This restaurant was where we had our final Mauritian meal. I’m happy to report that it definitely delivered on Creole inspired authenticity! It’s a little hole in the wall which only has seating upstairs on the rooftop terrace- hence it’s name. It was recommended to me by someone on Instagram (thanks Samihah!) and I am so glad I took her word for how delicious the seafood is! We ordered lobsters and langoustine and a banana juice which was surprisingly refreshing and tasted similar to sugar cane. For the price, you get whopping portions and great, fresh flavours. 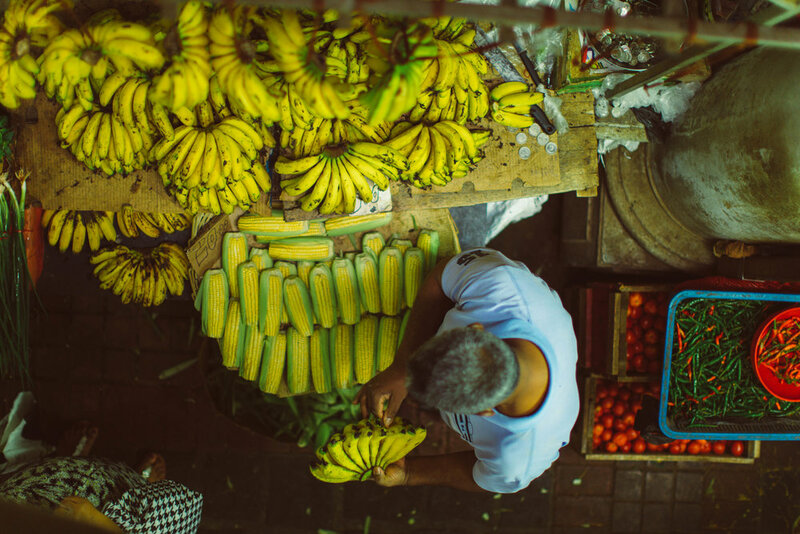 Mauritius was easily one of my most exciting food adventures. Whether I went to a beautiful chateau or a shack by the beach, I always left feeling happy that I had the chance to try something I perhaps normally wouldn’t!